Keep your neck warm as well as your head when it gets more chilly with The Santos Hooded Scarf. 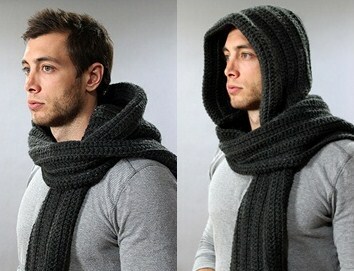 This looks just like a regular scarf when draped around the neck, but has an added hood. This warm and functional scarf is great for when the weather gets a little colder than you expected. Just pull the hood over to keep your head and ears warm.